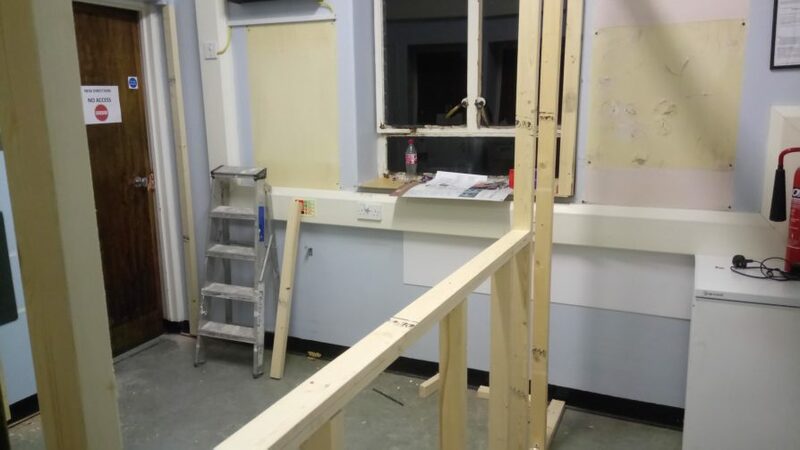 BHBN are further developing the 5th floor studio premises by adding a Production Suite. This facility is being sponsored by Auriga Services. 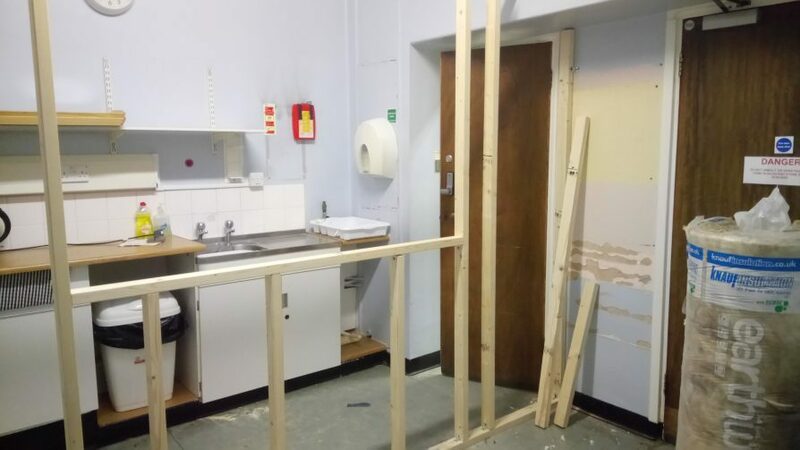 A further room has been created by utilising the former Staff Room area, dividing it whilst maintaining a gallery kitchen. The Production Suite is required for scheduling the automated programming system, recording, mixing and editing features for programmes. For almost a year now, we at BHBN Hospital Radio have wanted to expand our station’s resources by adding an editing suite to our studios. Priding ourselves in delivering professional broadcasting to our patients and online listeners, it was important for us to have a space where we could continue to create excellent content, radio packages and pre-record interviews when required to ensure the delivery of good quality radio content. It, therefore, became clear to us that an editing suite was required. BHBN put a lot of features together for the radio station covering important subject matter relevant to our NHS listeners. BHBN members and Directors David Horton and Donna Joseph had a clear vision and even managed to seek help from a probationary member, Ria, who was also a Graphic Design Student, and kind enough to produce a 3D design for the station. Armed with visual designs Donna and Technical Director David Horton had all they needed to pitch the idea to any potential sponsors. 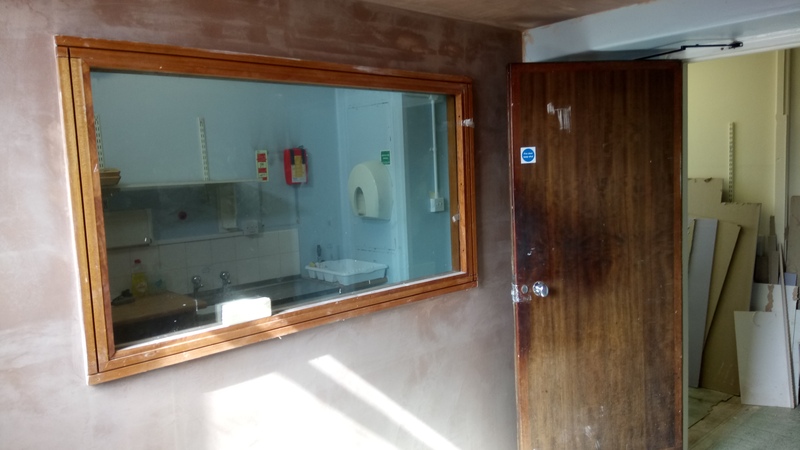 Being the vivacious lady that she is, Donna was set on securing a sponsorship of £3,000 to fund the construction of the suite and she was determined about making this happen. You see the thing about the ‘doers’ and ‘magic makers’ at BHBN is when we set our mind to something we make it happen and happen it did! Auriga Services manages the Seven Trent Trust Fund who support vulnerable individuals and families – so overall a caring and hard-working team of people. The CEO of Auriga, Mark Abrams, came into BHBN earlier this year for an interview that we were doing with them about the work they are involved in. 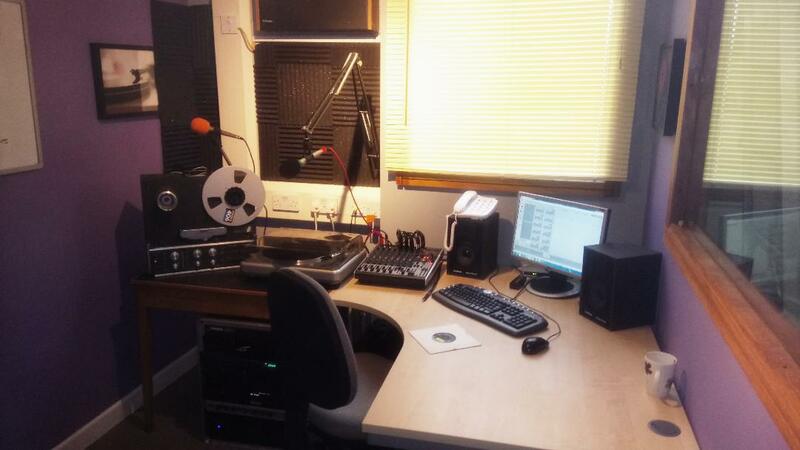 Mark had a look around the studio and agreed to donate £1,500 to the station which was enough to get the editing suite built. 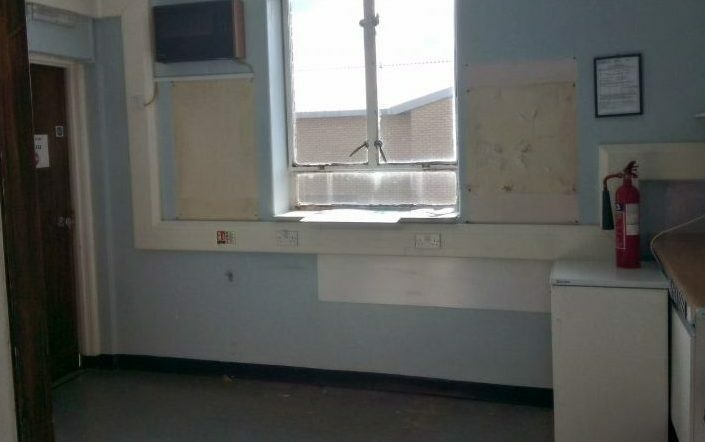 Whilst this wasn’t the full funding BHBN needed to help realise the vision, it was more than we could wish for and we were both delighted and grateful to Auriga for the contribution. It should come as no surprise to you then that we aptly decided on calling our brand-new editing suite the Auriga Suite. Every name given to anything or anyone carries a story behind it, and this is ours, however, the story does not end quite there. We are extremely grateful for the support from Auriga Services that will allow us to build a new production suite for the station. Donna Joseph, Communications Director for BHBN Hospital Radio. On a separate occasion during the summer, members from Auriga Services came into the studio for a radio interview and with them they brought a surprise. 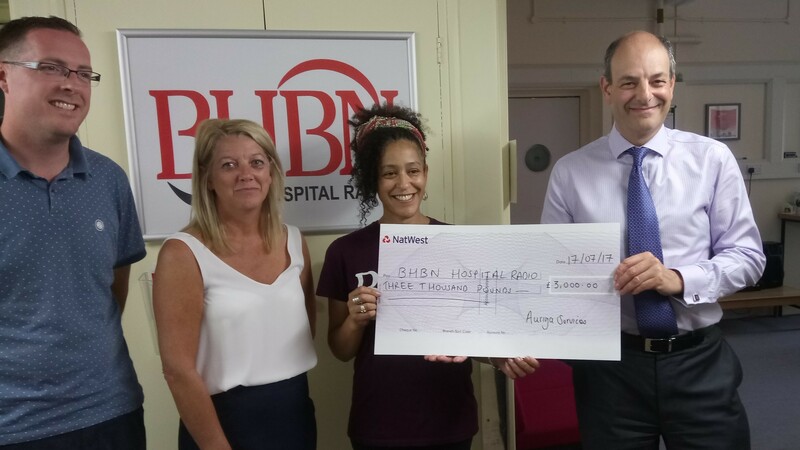 Auriga presented BHBN with a cheque for double the amount, increasing the sponsorship period to two years. This meant that we now had the full funding we had always wanted – naturally, this made Donna a very happy woman! It was such an unexpected and wonderful surprise, and the excitement at BHBN is evident in the expression on Donna and David’s faces in the image below. 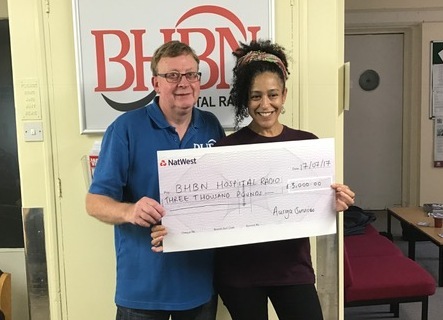 Thanks to our friends at Auriga, BHBN now have the full £3,000 funding required to enable us as a station to continue producing excellent radio and gives us additional opportunities by providing a place for all our volunteers to pre-record shows, edit features and create packages. One of the first features we will put together for BHBN will be the community care announcement for Auriga and we look forward to sharing it with you all in due course. 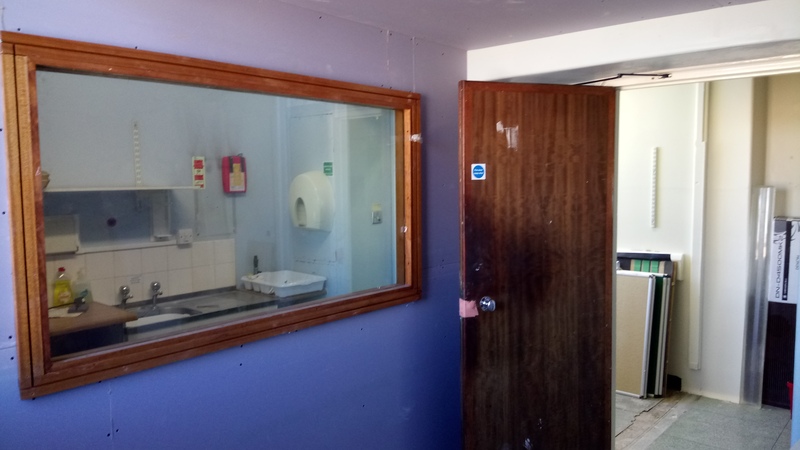 We first started speaking to the radio station in October of last year and were impressed with the dedication put in by the staff, all of whom work there on a voluntary basis. 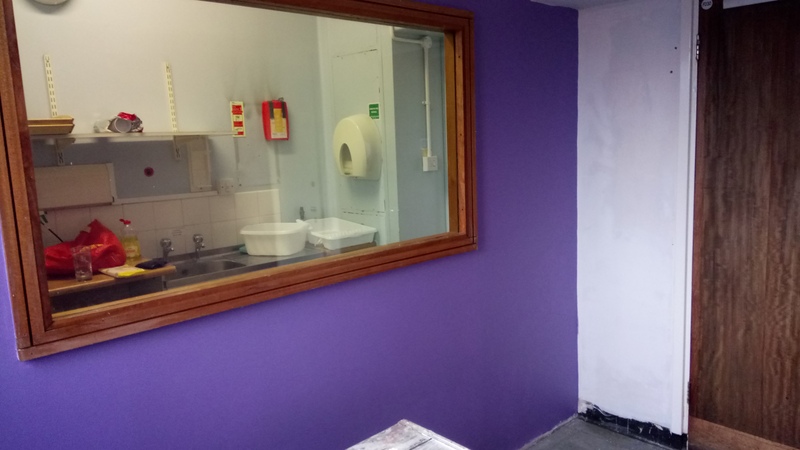 Whilst being given a tour of the radio’s studios, which are located at the Queen Elizabeth Hospital, we found out that the team were looking to raise money to build a new production suite within the studio. After a further visit, we explored ways of how we could work together. Auriga decided to sponsor the radio station for the next two years. 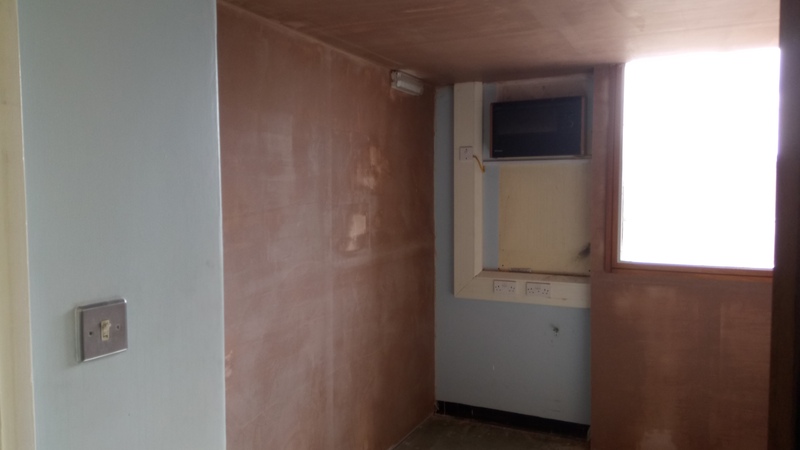 Our donation will allow the station to go ahead with building the new production suite which they named the Auriga Suite. 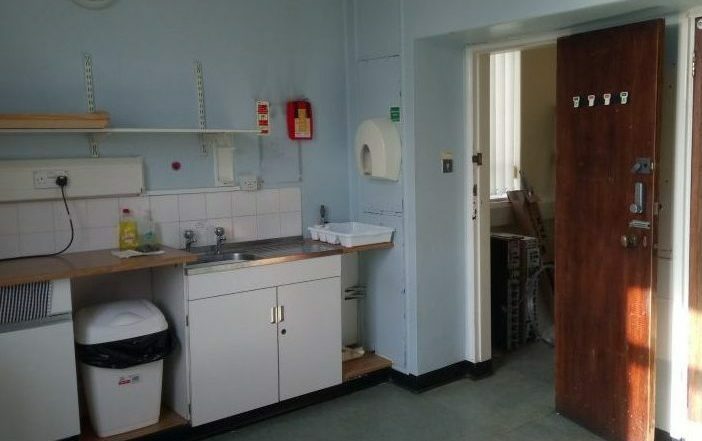 We at BHBN Hospital Radio are delighted with the Auriga Suite and look forward to producing an array of broadcast material for all of our listeners. The kind gestures from our sponsors at Auriga Services has helped place the station in an advantageous position and we intend to capitalise on this. A heartfelt thank you to our friends and sponsors at Auriga Services. We thank you and in doing so celebrate many years of good relations to come! The BHBN radio team play an important role as part of overall patient welfare. They entertain and inform. Many people are in hospital for long periods of time and having the hospital radio will help brighten their day. Auriga are delighted to recognise and support BHBN to enable them to build their new production suite.